Probiotics are fueling a toxin-free green revolution and here we are with Indias first Probiotic Aluminum-free Natural Deodorant that actually works. To tackle body odour, you have to stop the problem at its source. Antiperspirants (which block sweat glands) and Deodorants (which neutralise or mask odours) and never actually deal with the problem. Blended in small batches with pure, natural ingredients and essential oils that work with the body's natural processes, not only preventing odor by removing toxins, but by balancing and improving skin health. 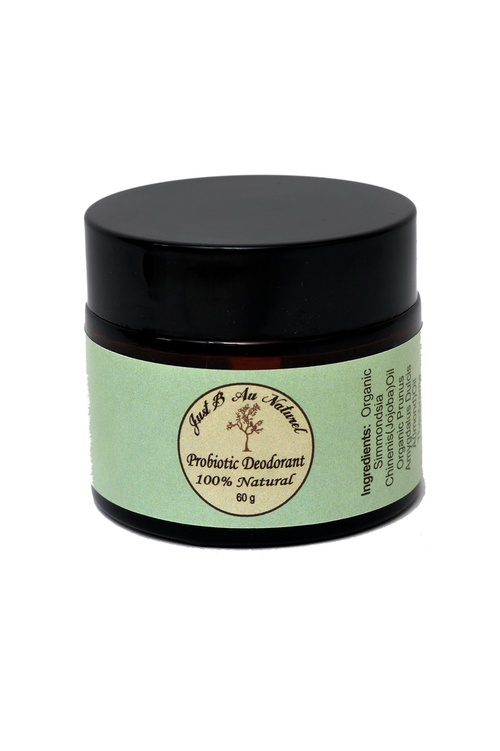 This 100% natural Probiotic Deodorant is a concentrated paste of the most effective deodorizing natural ingredients available, and the probiotics offer that next step of efficacy, but with yet another all natural ingredient. Body odour is caused by the presence of bacteria that thrive on your body's sweat, Probiotics ( good bacteria) infused ingredients contribute to the biodiversity & strength of your skin microbiome. Try the natural way and you will find that The result is all-day odor control wonvenient, Smooth & Most Importantly Effective. Mineral ingredients like baking soda , arrowroot neutralize the environment where the odor-causing bacteria thrives. Essential oils like Lemon , Lavender, Tea Tree and cypress are anti bacterial and help reduce perspiration. Probiotic Ingredients activate the skin’s natural ability to repair itself and boost the natural process of restoring healthy cells. To tackle body odour, you have to stop the problem at its source. Antiperspirants (which block sweat glands) and Deodorants (which neutralise or mask odours) and never actually deal with the problem. Try the natural way and you will find that The result is all-day odor control with just one application. This Is The Natural Deodorant you’ve Been Searching For Convenient, Smooth & Most Importantly Effective !